You might say that no one should ever rewrite a classic book, but then we’d miss some marvelous reworked titles entirely worthy of the reader’s attention. Among Young Adult and Children’s books, there are endless retellings of fairy and folk tales in contemporary settings or with feminist themes or with wolves being cast as the victims of onerous pigs. However, the following books, appropriate for adults or mature teen readers, retell their tales with an entirely new approach and some somewhat different outcomes. This was my favorite book of several years ago, and is an excellent selection for book groups to discuss. If anything, this reworking of Nathaniel Hawthorne’s The Scarlet Letter, becomes more real and frightening with each passing political season. It is the near future. The New Depression has ended and the latest Scourge is controlled, but people have returned to fundamentalist values with a vengeance. In Plano, Texas, young Hannah Payne’s movements are carefully controlled by her mother and her church, a mega cathedral run by the charismatic Aiden Dale. Aiden has his sights set on a political career. However, he also has his personal sights set on Hannah. After he seduces her and she finds herself pregnant, she sees no alternative but an illegal abortion. Her transgression is found out and, as she won’t name the father of her child, she bears the responsibility herself and is dyed red as a visual symbol of her sin. Cast out by her mother, she is sent to a facility that is a cross between a reprogramming center and a nunnery. There, she and her sister sinners are abused and punished until Hannah leaves and casts her fate with a feminist group notorious for their civil disobedience and her one way to leave the restraints of the United States for the freedom of Canada. This compelling tale will make you think how stranger than fiction our current truths are, and will bring to mind in its literacy and storytelling Margaret Atwood’s The Handmaid’s Tale. 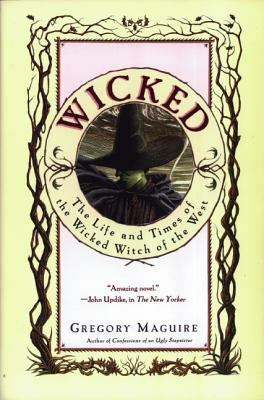 Wicked: The Life and Times of the Wicked Witch of the West, by Gregory Maguire. You will be most familiar with the book from its metamorphosis into a long running (although not Tony winning for Best Musical – that went to Avenue Q) Broadway show. Winnie Holtzman, who wrote the book for the show, used Gregory Maguire’s fantasy merely as a jumping off point for her play. The book itself is complex, detailed, darkly satirical, and very political. 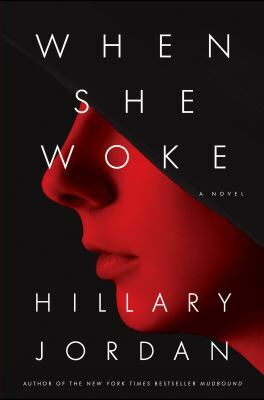 As the first of a series of books told from the different viewpoints of characters in Wicked, the stories become progressively murkier and much more political, making clear the author’s feelings on everything from the Bush presidency to gay rights and unwanted, overlong wars. However, in the first book, Maguire focuses on the relationship between two young witches-in-training, Elphaba Thropp and Galinda Upland who meet at Shiz University. Elphaba bears the green coloring of her mother’s adultery. Her mother, wife of a provincial governor, cheated with a traveling salesman who gave her a draught that did not prevent pregnancy, but instead turned her child green. Later, a milkweed elixir crippled a future child, Nessarose. Now, both girls are at Shiz where it is revealed that Elphaba, in particular, has great talent for magic. Elphaba also has great talent for trouble as she becomes actively involved in underground activities on behalf of talking Animals whose rights are being taken away. Another student, a handsome Winky prince named Fiyero seems fated for the bubbly Galinda, but is instead attracted to Elphaba and her lost causes. The book ends with an open-ended question of Elphaba’s survival and the possibility that she has left behind a half-Winky offspring who will carry on the family tradition of trouble and magic. Honestly, you will either love or hate this book and its subsequent episodes. I found it magical in every sense of the word. 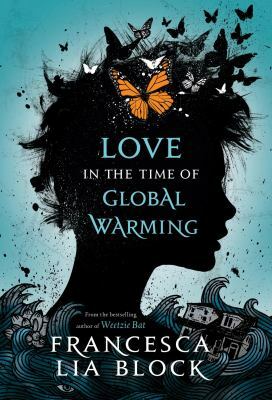 Love in the Time of Global Warming, by Francesca Lia Block. Everything old is new again as acclaimed author, Francesca Lia Block, takes the classic story of Homer’s The Odyssey and presents it as a post-apocalyptic tale that is a brilliant, contemporary dystopian novel. The heroic story receives a “girlist” twist by making the lead character a teenage girl named Penelope. When the great Earth Shaker hits her Los Angeles area home, Penelope doesn’t know the scope of the destruction, whether it is limited to the coastline or a worldwide catastrophe. What Penelope does know is that her family has vanished, leaving her surrounded by roiling seas in an island-bound pink house that was once her home. A heretofore unknown home invader, who is revealed to have familial ties to Penelope, gives the girl a battered VW van in which she travels through newly created wastelands and picks up a posse of young men who help her search for her family who, she believes, are still alive in Las Vegas. The group follows butterfly spirit guides that Penelope pursues, and is enticed but reimagined characters from the myth: sirens, a Medusa-like soap opera star, denizens of a lotus den, and a visionary witch. Penelope also confronts and vanquishes a giant Cyclops, one of a race of genetic aberrations created by a mad scientist whose experiments may have ended the world. As with Block’s other books, this one is LGBTQ friendly because Penelope is questioning her sexuality; her new love, Hex, is transgender; and Ez and Ash, the two other young men who complete their band, are gay. Block’s writing is pure poetry in its flow and symbolism. So many dystopian novels seem to be written by the pound, but Block is economical in her language without sacrificing storytelling or the mythological references. This should be a companion piece for students who are reading the original myth for the first time. Yet it has the potential to be that hard-to-achieve crossover book for adults because the language and imagery is both lyrical and alarming in its descriptions of Armageddon and its sepia recollection of the world before. This is the first in a series about Penelope’s quests. 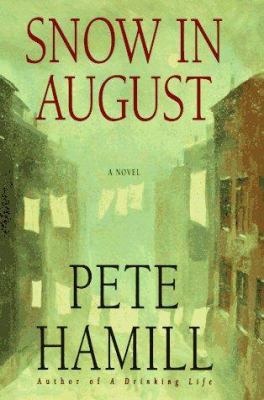 Snow in August, by Pete Hamill. This is a very old book, in 2014, but I count it among my favorite coming-of-age novels. It is based, very loosely, on an old Jewish folktale about a mud monster created by a Czech rabbi to save his people from pogroms. Built from clay, the monster is brought to life with the secret name of G-d and can only be killed when a prayer scroll is removed from his head. Pete Hamill, an old JFK colleague and former swain of Jackie Kennedy, brings the story forward to post-war Brooklyn where Rabbi Judah Hirsch has come as a survivor of the Holocaust and settled in a primarily Catholic neighborhood. The neighborhood is not a safe place because it is ruled by a thuggish gang of teens who have murdered a Jewish shopkeeper, an act that was witnessed by young Michael Devlin. Michael saves his own neck by promising not to “squeal” despite repeated questioning by local police nicknamed “Abbott and Costello.” However, Michael’s life becomes more complicated when Rabbi Hirsch asks him to do work that Jews are not permitted to do on the Sabbath, and the two develop a close relationship as Michael teaches the rabbi English and the ins and outs and baseball, and the Rabbi teaches Michael to speak Yiddish and the legend of the golem. When Michael and the Rabbi run afoul of the gang, again, Michael takes it upon himself to create a golem who bears more than a passing resemblance to a comic book superhero (which was, not incidentally, created by Jewish artists in the World War II period). With the golem’s arrival, Brooklyn becomes a magical place where the evildoers are brought to justice, the dead of the Holocaust return to life, and it can even snow in the middle of a sultry August night. All four of these books combine social commentary with excellent storytelling and timeliness with themes that readers will know from the past.